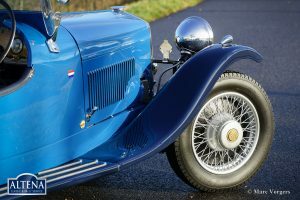 Riley 2.5 Litre ‘Big Four’ special, year 1937. 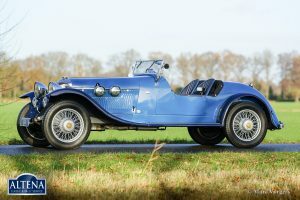 Chassis number 38 KX19XX. Colour two-tone blue with silver painted wire wheels. 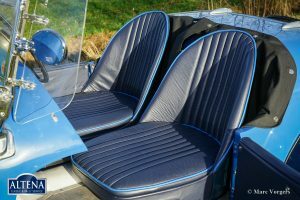 Dark blue leather seats trimmed with blue piping. 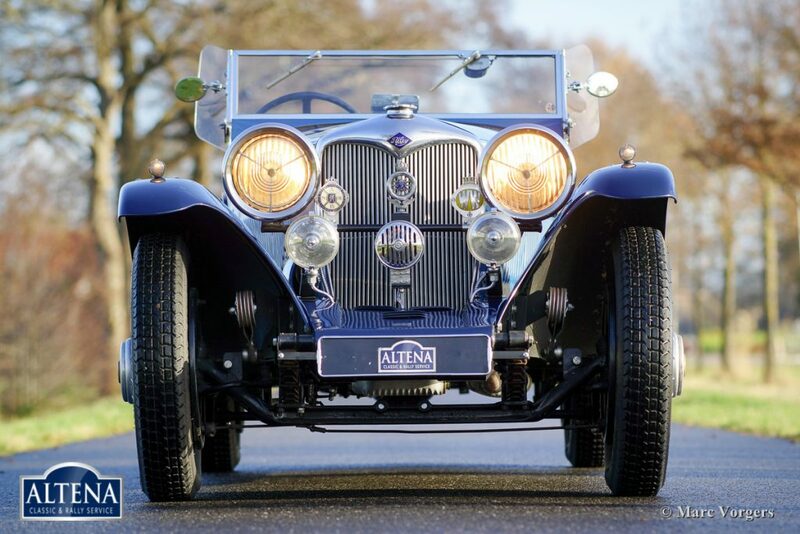 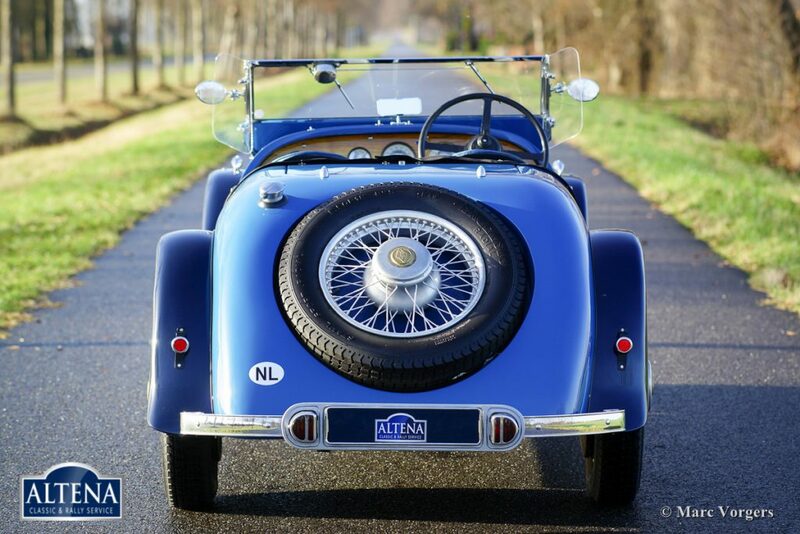 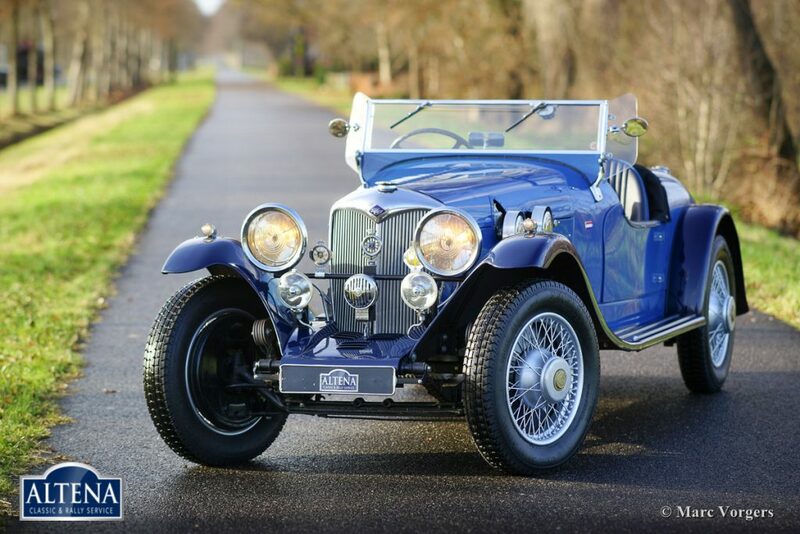 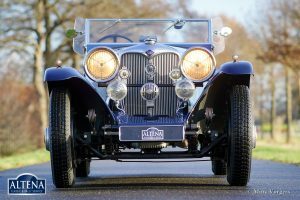 This beautiful Riley special was built upon one of the best pre-war riley Chassis with the powerful ‘Big Four’ four-cylinder engine. 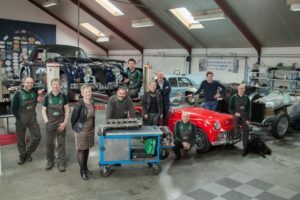 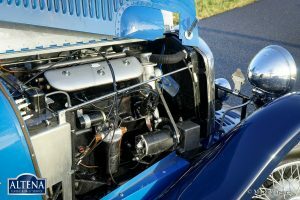 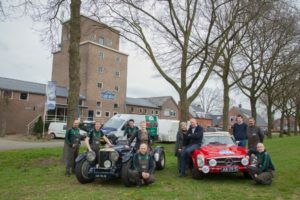 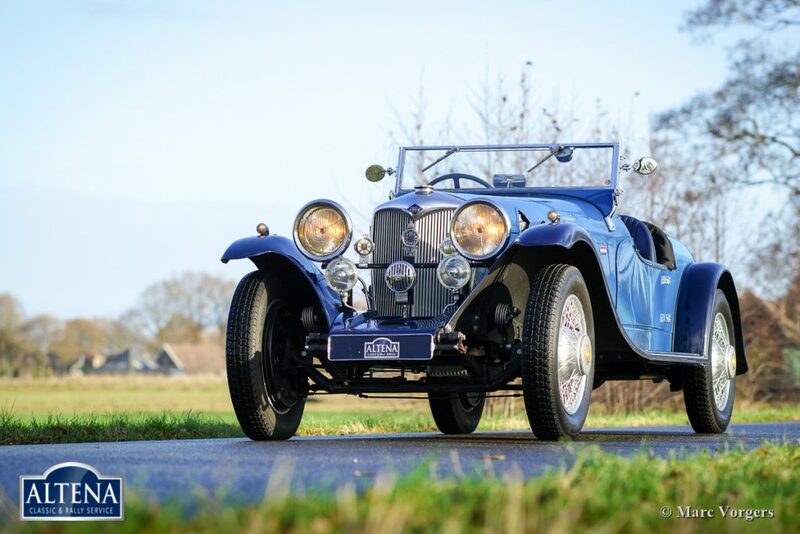 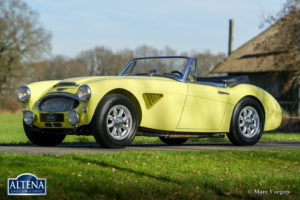 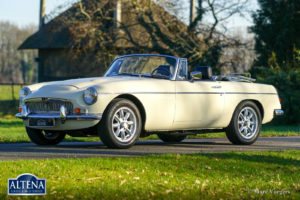 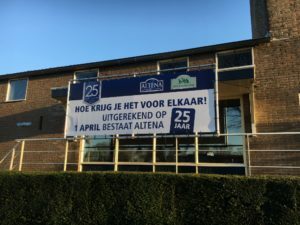 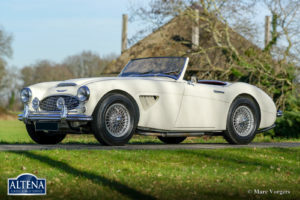 The special body was created by ‘Jansen Carrosseriebouw’ in the Netherlands and the engine and gearbox were overhauled by a renowned Dutch specialist firm. 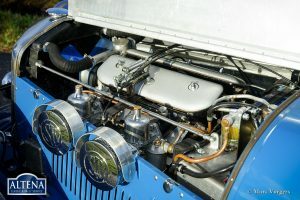 A photo reportage of the build and the overhaul is present. 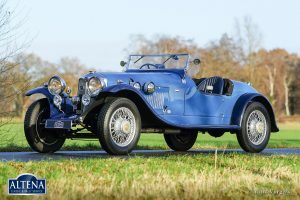 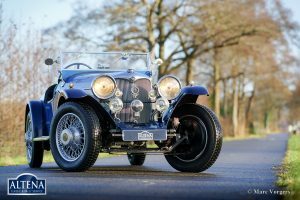 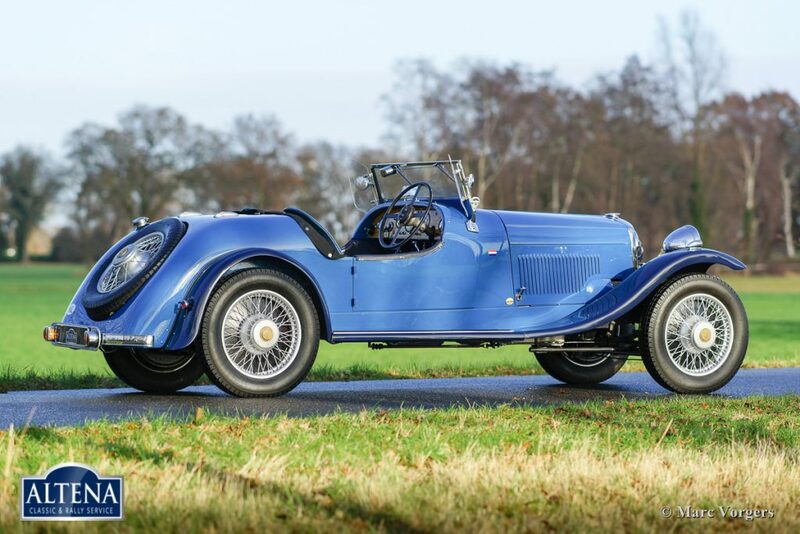 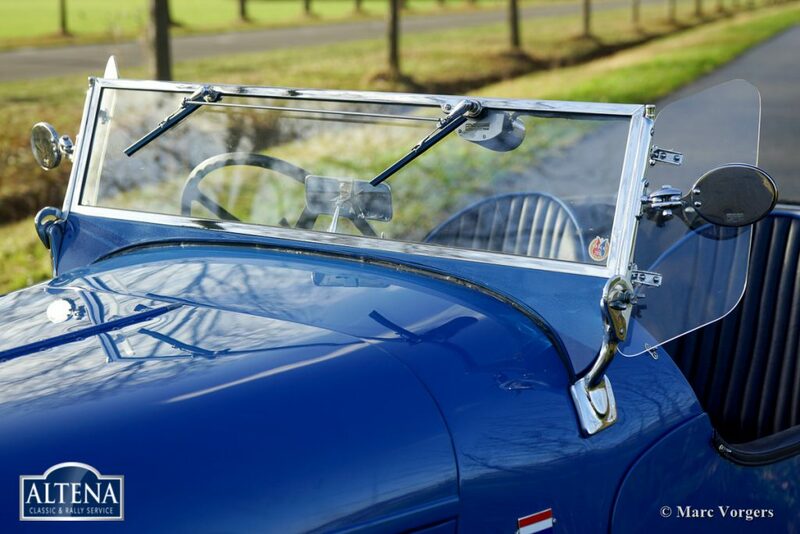 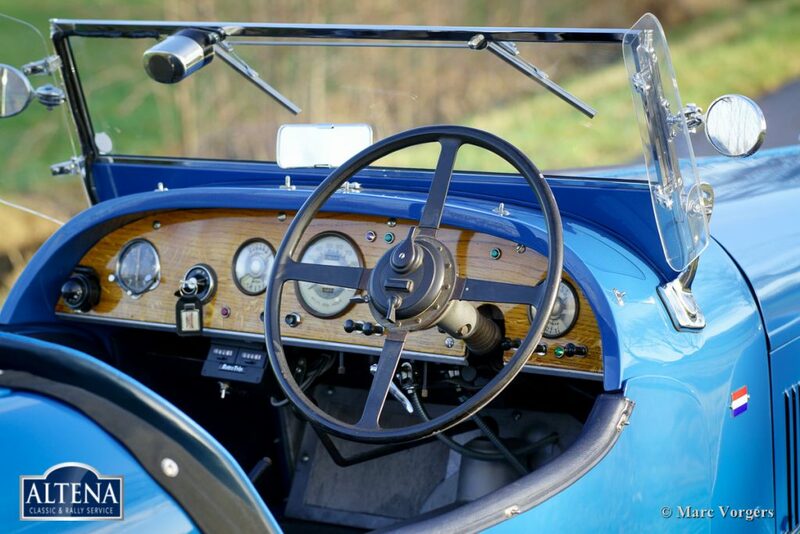 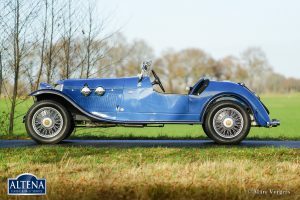 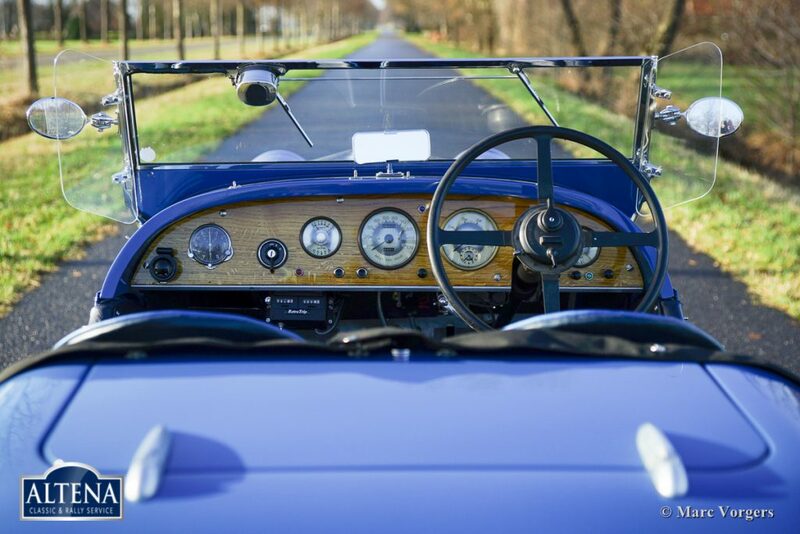 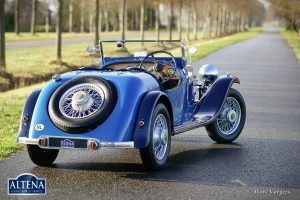 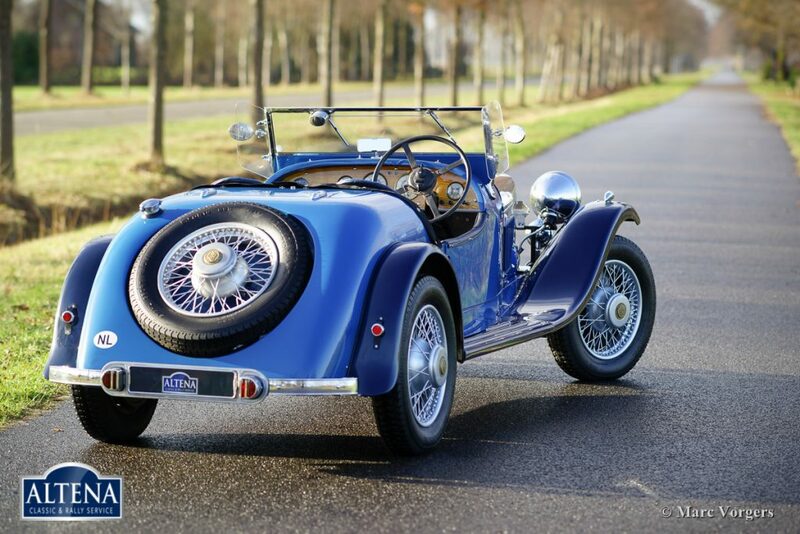 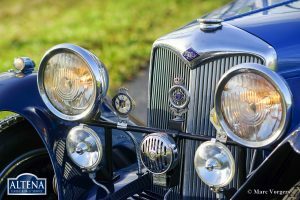 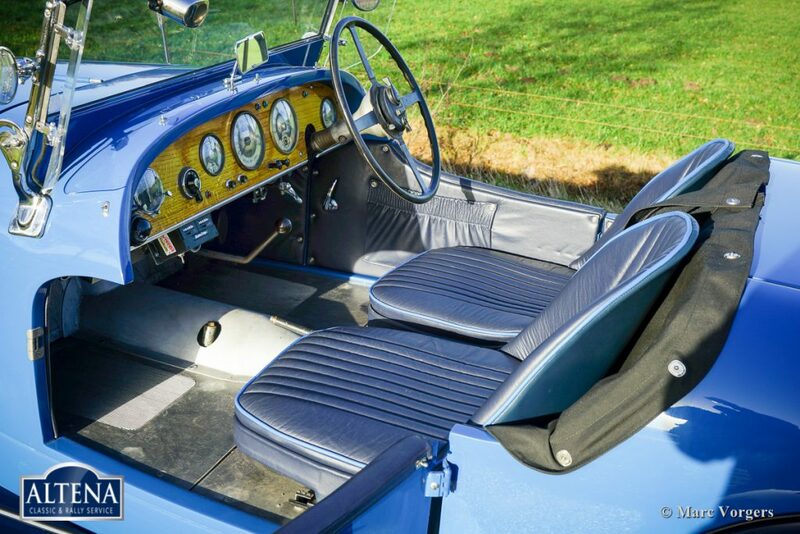 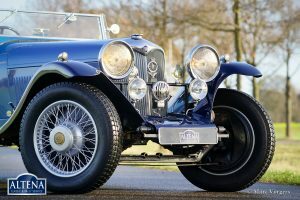 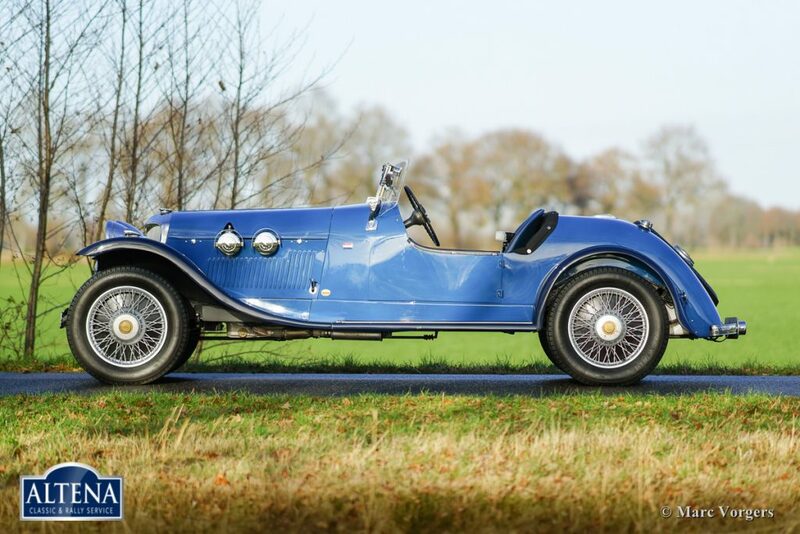 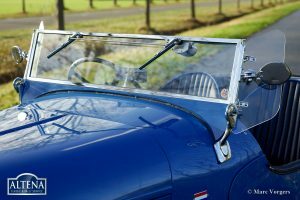 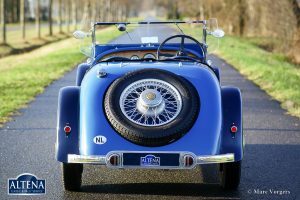 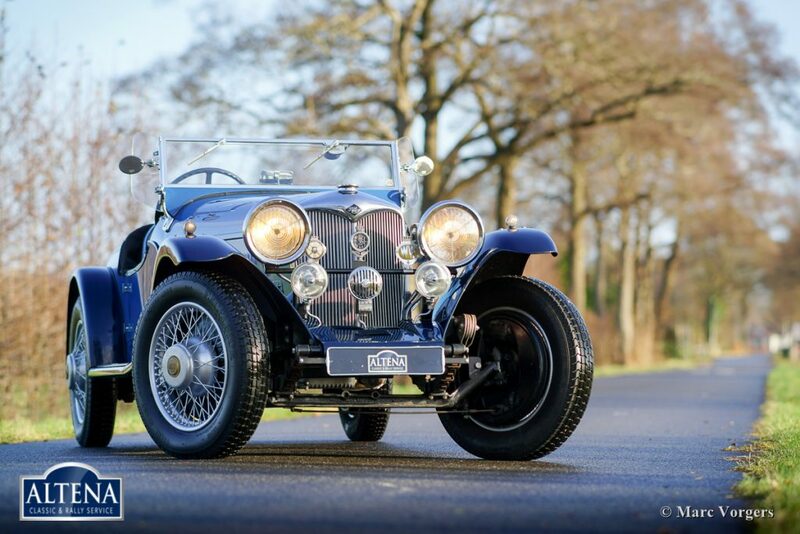 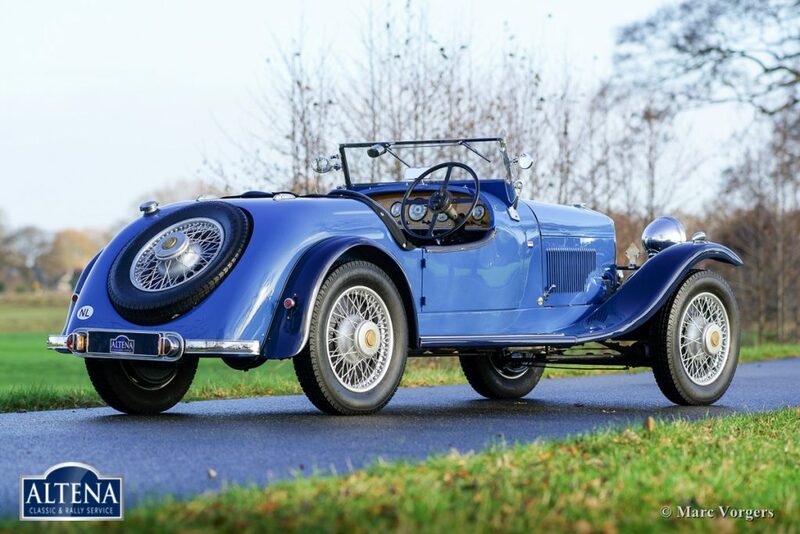 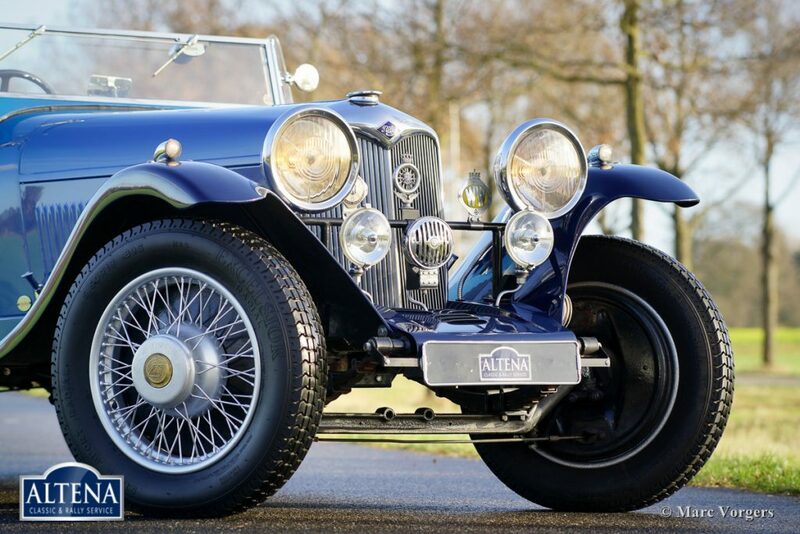 Since completion this Riley special has driven a maximum of 3000 kilometres. This is a rugged and unique Riley ‘Big Four’ special in superb condition!